Find out how we can help you with a free quote from our friendly and reliable team. If the exterior of your home has a render surface, it can easily gather dirt, grime and bacteria and discolour from its original condition. Our render cleaning uses a soft wash technology which is a combination of specially selected chemicals and a low pressure washing system to ensure the dirt comes off but leaves your exterior surfaces in excellent condition. Render cleaning has to be completed using the correct methods and chemicals otherwise it can cause damage to your homes outer surface. 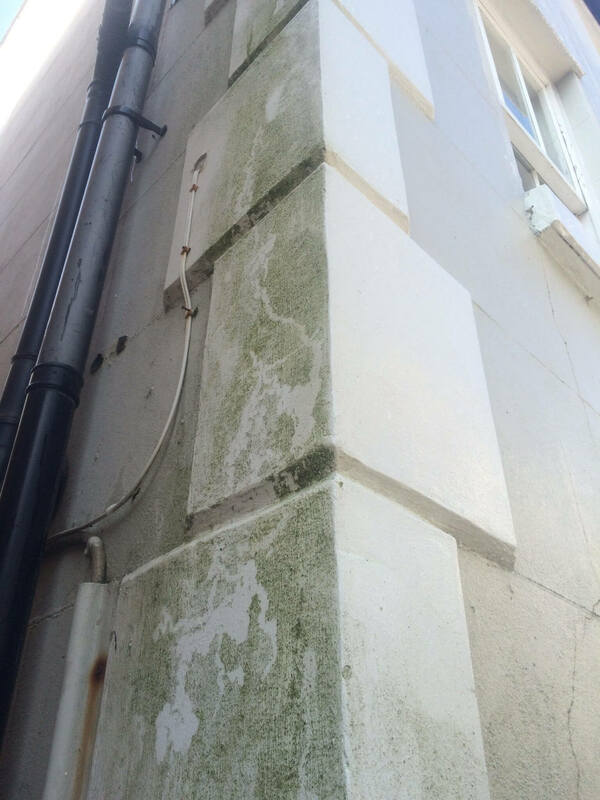 With our fully trained and experienced cleaning operatives we can provide you with a bespoke service to clean your render, K Rend, painted and plc surfaces and restore it back to its former glory. Soft Washing is a low-pressure cleaning technique which uses cleaning solutions specially chosen for each individual project depending on the surface and level of cleaning required. The cleaning solution is applied at low pressure to the most delicate surfaces which you wouldn’t use a pressure washer on at high output. The soft washing process aims not only to clean your surfaces but also to remove contaminants such as algae, moulds, mildews and bacteria that can actually decompose your exterior surfaces they are growing on. "I have been using GWC on my development of three houses in Hastings Old Town since it was completed in 2013 - always a first class and responsive service and I would happily recommend them"
"GWC delivers an efficient and courteous service. The staff are polite and concerned to ensure that their work is completed fully with a minimum of disturbance. Excellent"
"Excellent service. Clean and carefully done . I would especially refer them to anyone with a 'difficult' property as in my case a dry / wet vacuum cleaner was used to excellent effect, without ladders." If you would like a quote or for more information on our services please complete the form below or call us on 01424 210677.